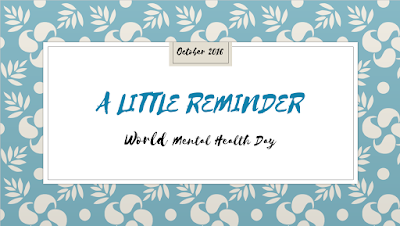 On the 10th of October, it was World Mental Health Day and given that mental health is something I am passionate about, read up on a lot and something that affects me directly I had to post. For me, the purpose of World Mental Health Day is not only to raise awareness about mental illness, self-care and to help beat the stigma surrounding the issue of mental health. 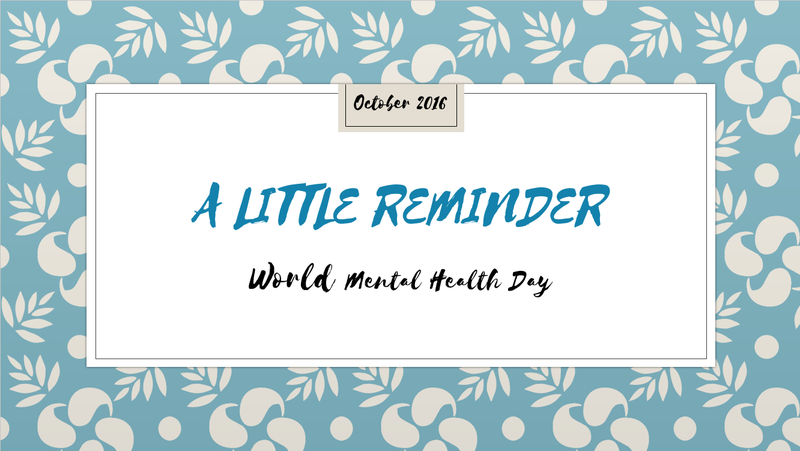 World Mental Health Day it is also about taking a step back for a moment and celebrating all the things that we’ve achieved. Maybe it’s something that you achieved today, yesterday, last week, last year or ever a decade ago. Believe it or not, they all count!